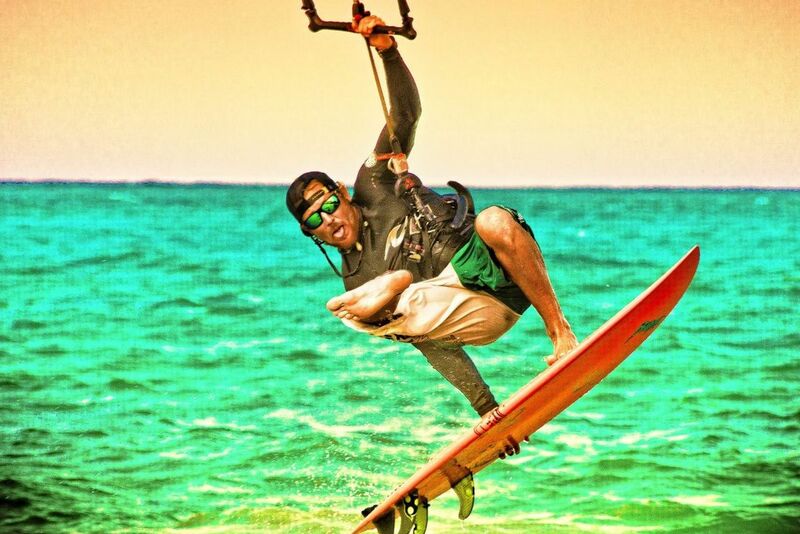 Full kitesurfing lessons are available for the absolute beginner all the way to advanced clinics. 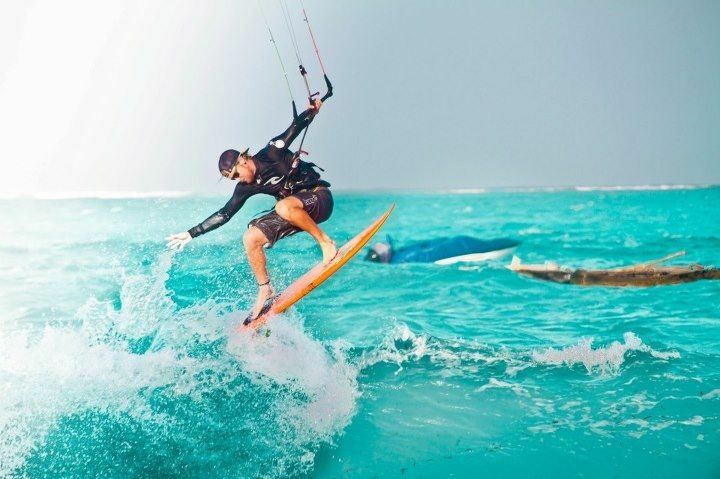 The shallow sandy lagoons offer perfect conditions for the beginner and intermediate rider and great training grounds for high-level kiters. 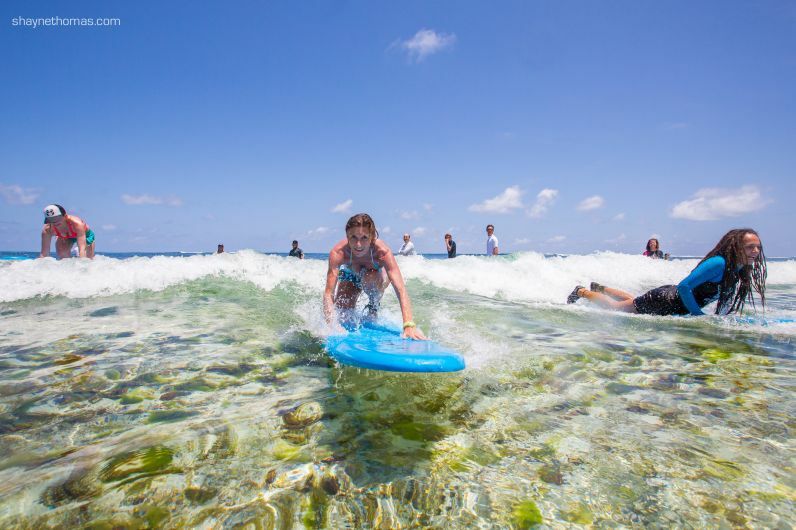 The barrier reef offers great wave riding and spots that can cater for first-timers and avid surfers. The trade winds are consistant from mid-december to mid-march and again from mid-june till mid-october. The winds average between 15 and 25 knots and tend to be as stable as you can imagine. 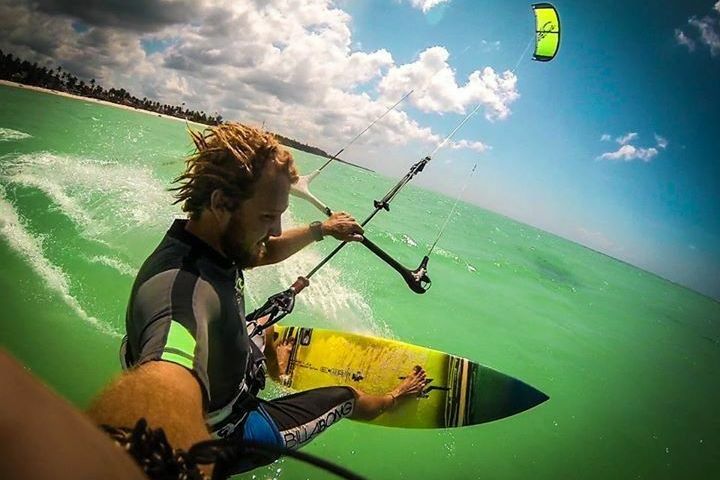 Kite lessons or advanced training is mainly done in the shallow sand lagoons of Paje. Although, if the spot is crowded or wind is fickle, there are a few quieter and more secret locations. The advanced wave riding lessons are done on the A frame or the point of Paje reef. 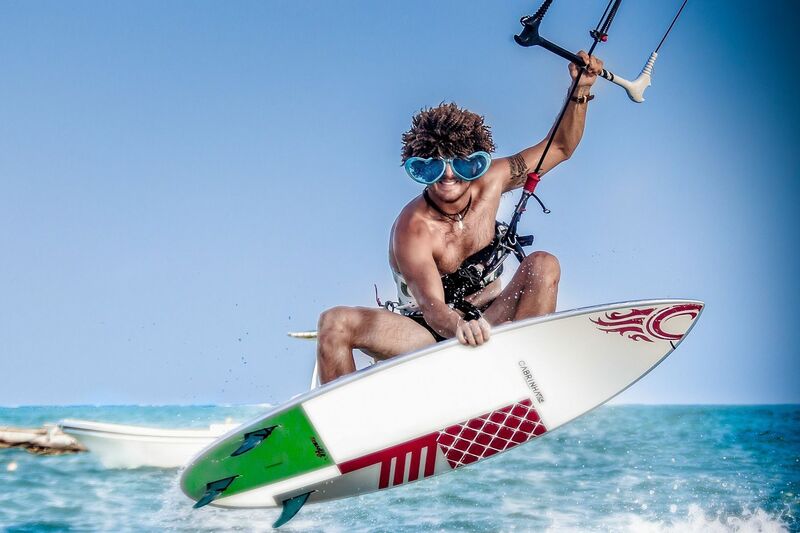 For more information about Kitesurfing on Zanzibar click here. Information on wave surfing in Zanzibar is very scarce, but there definitely are a few spots worth paddling out. The reef along the South East Coast offers many points that face different directions and can work on different conditions. We have found some nice slabby ledges that throw a decent lip for surfers that know what they are doing. We have also found some softer and sandier sections of the reef for the beginner and intermediate surfers. 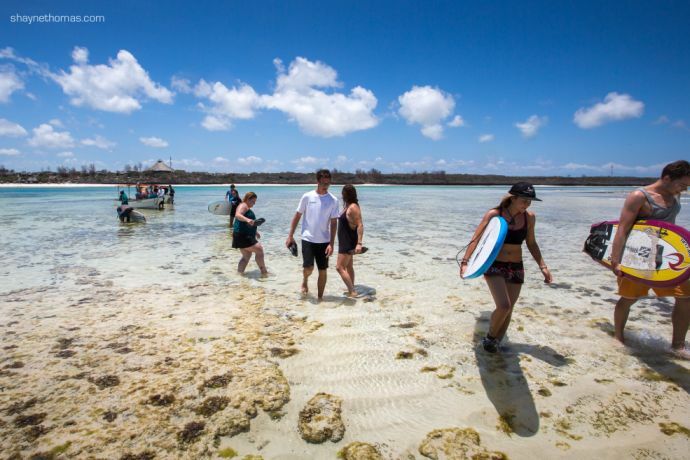 Surf lessons can be done on a few different spots along the reef depending on the “surfer-chi” of each guest. The better places are either Jambiani or Dongwe because of a gap in the reef. The Dongwe pass is closer and takes around 25 min to paddle out or 10 minutes by boat, the Jambiani pass is about 30-60 min by boat. 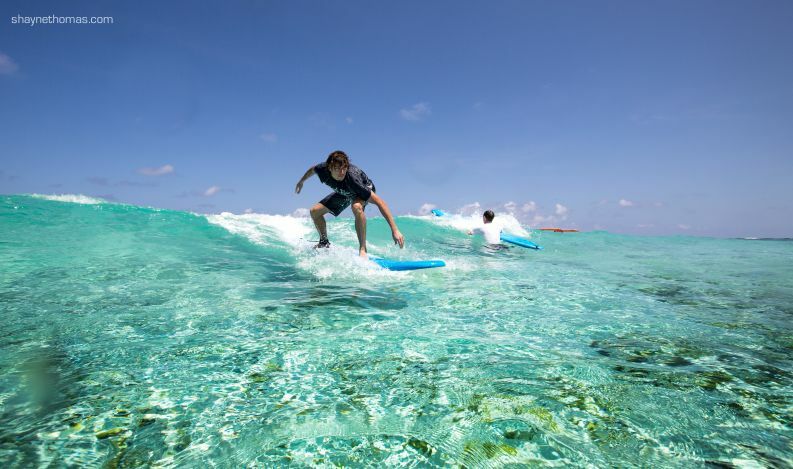 Follow this link to learn more about our surf trips and surfing in Zanzibar. 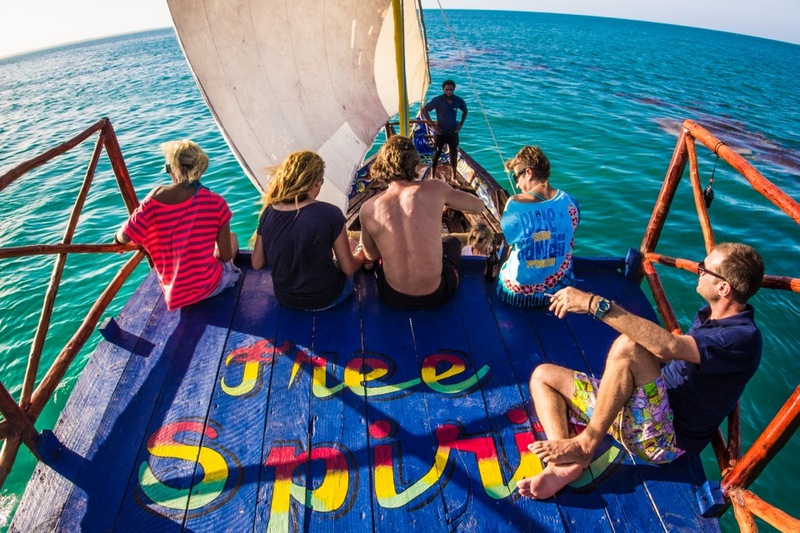 The Free Spirit sunset tour is a cruise on a customized local dhow boat built to chill. Its upper deck is perfect for relaxing and being sail driven makes it that much more natural. 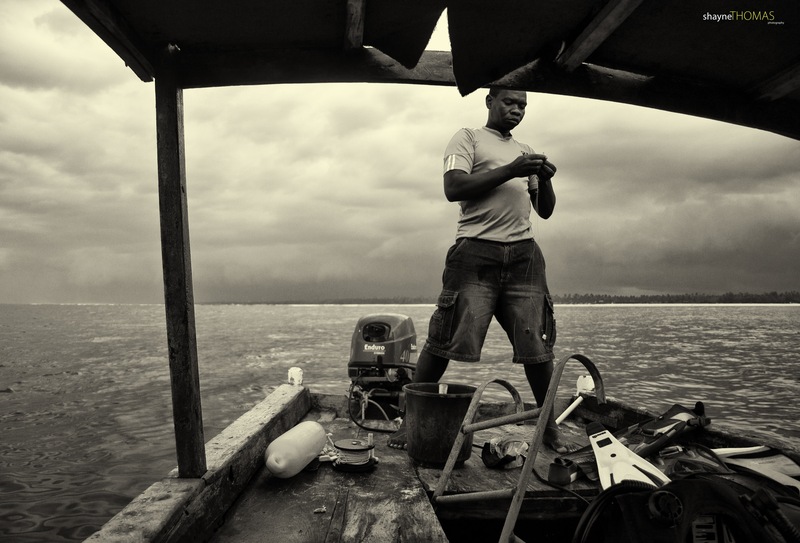 This tour takes place in the northern tip of the south east peninsula in a small fishing village called Michamvi. You arrive to the spot around 16:30 in the afternoon and take to the water as soon as the tide allows. 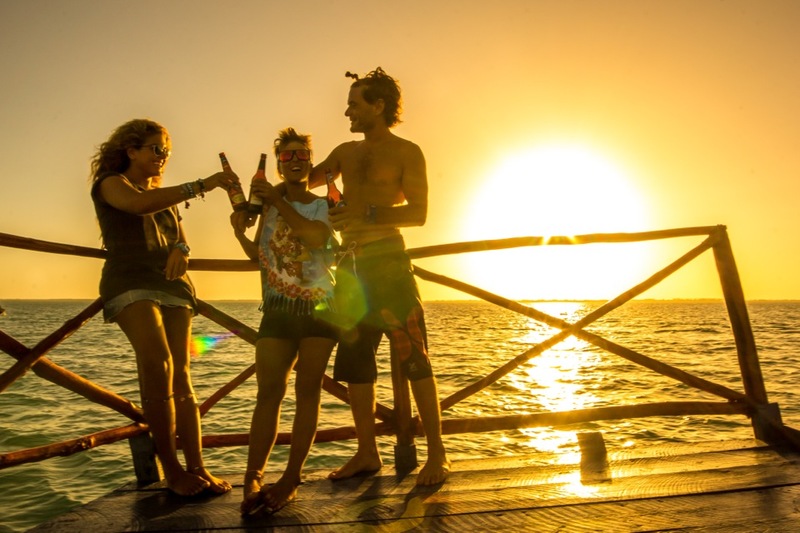 Drinks and one of the best sunset spots we’ve ever seen, make this a truly great trip. After a nice tour, a few more drinks and dinner can be arranged at the beach, a beautiful location where the Free Spirit Cruise ends. The best snorkelling lagoons on the South East Coast are located in Dongwe which is about a 15 min drive from Paje and the Jambiani gardens which is 20 min boat ride away. 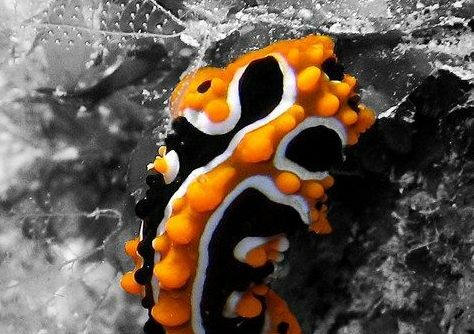 There you will find great coral formations and a huge variety of marine life. The 27 degree cristal clear warm water is something you spend most of the time in Zanzibar enjoying. 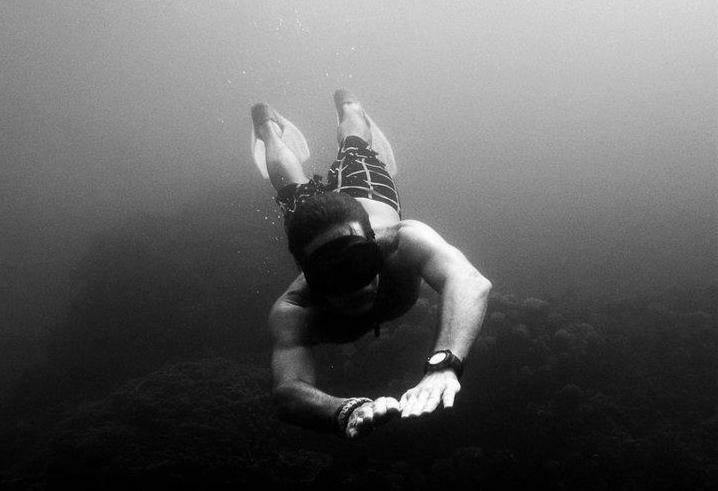 Snorkeling offers a great prespective of the world underneath. 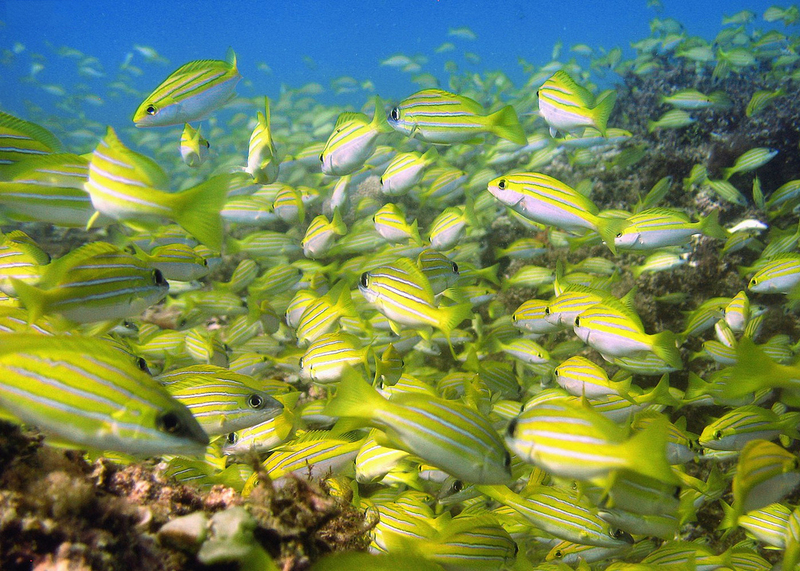 Trumpet fish, puffer fish, trigger fish and plenty of clown fish are found in most of the lagoons within the reef. The snorkeling spots can often be a few hundred meters from the beach and a boat or guide is recommended. A few small dangers like fire coral or the ocasional jelly fish are around, but nothing major at all. Snorkelling trips can be easily arranged depending on your level and even some spear fishing tours on the outer reefs hunting fresh Sushi for the evening. 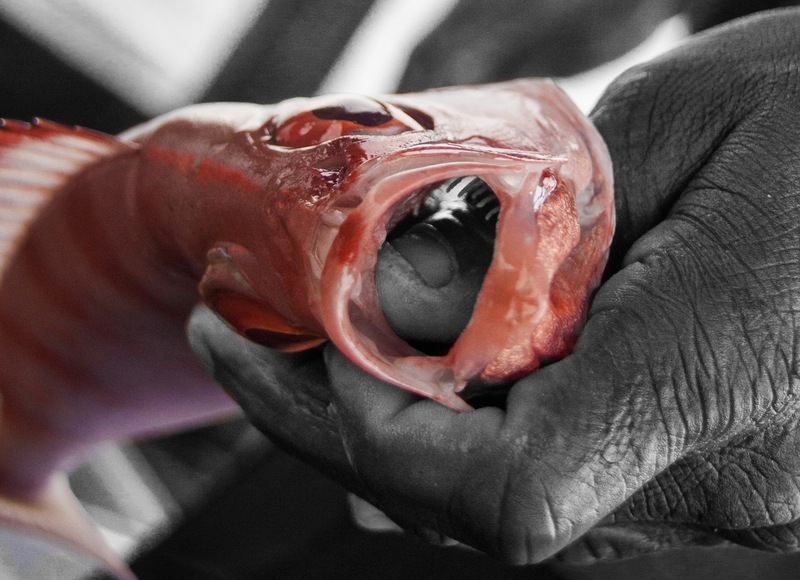 Spear fishing commercially is illegal in Zanzibar except for one major company. We can hook you up with a spear fishing trip with Zanzibar’s professional spear fishing company. It’s not a cheap fun but the money definitely worth the experience. Hobie sailing takes place further south of Paje in a reef lagoon. This is done over the higher tides and can be great fun when it’s that frustrating 8 knots for a kiter. Hobie sailing is a great tandem sport, that can test even the strongest relationships. With lighter winds, it is a superb way to relax and explore the coast line. 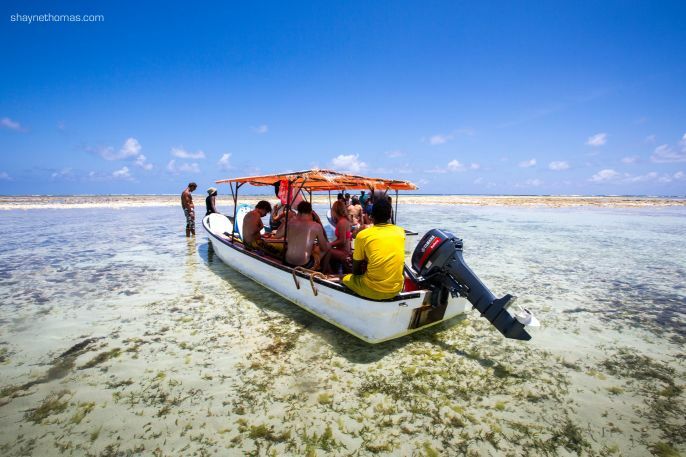 Jump in the boat with snorkel gear and a fruit basket and discover what Zanzibar has to offer in the coolest of ways. For the more adventurous of sailers, a windy day on the hobie is nothing less than exhilarating. With a main sail and gib sail, the hobie easily lifts one pontoon free of the water as it speeds up. 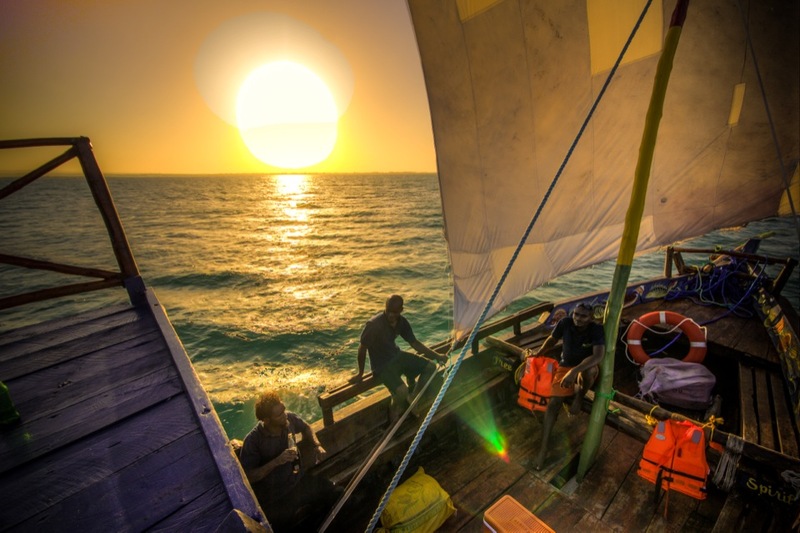 Dhow or ngalawa sailing is done in Jambiani or in Michamvi, depending on conditions. 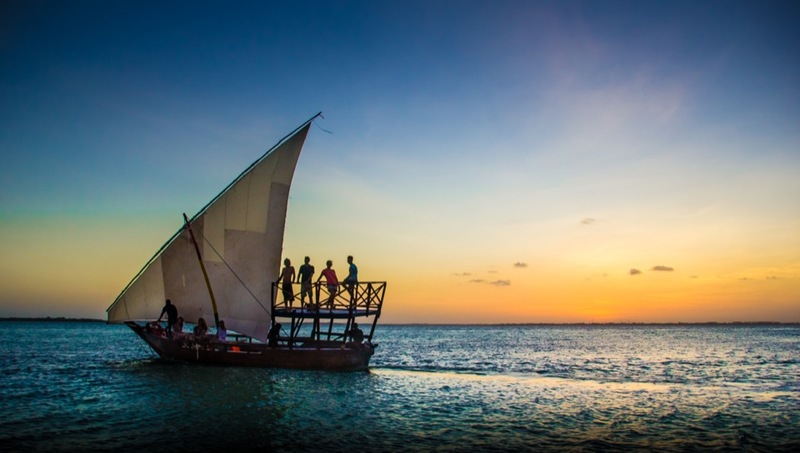 The dhow is an arabic styled boat that has been in Zanzibar since the beginning. Dhows were sailed up and down from the arabic nations trading spices and slaves. These 20 foot plus boats are a team effort to sail and normally go nicely with a sunset and drink. 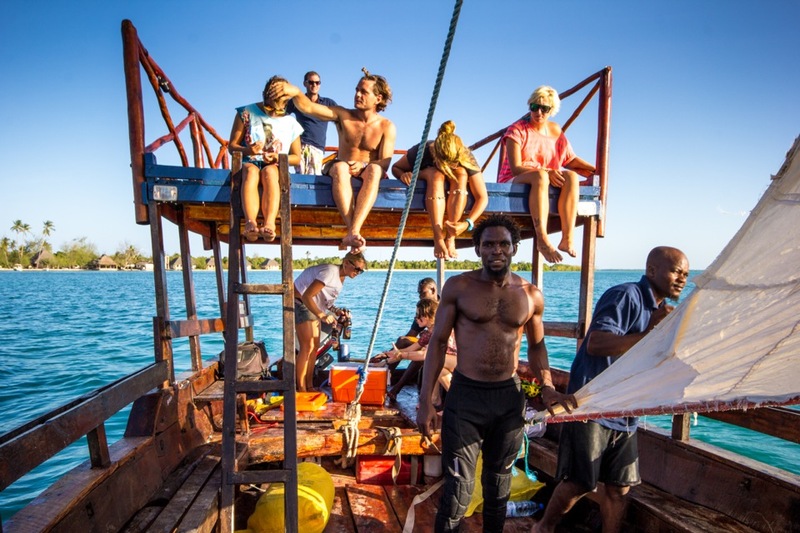 Local skippers are enthusiastic and always happy to teach tourists the ropes. Not an extreme sailing experience but one that would never be forgotten none the less. Great for family or group outings. The smaller ngalawa is a 2-5 man boat and is normally used by local fishermen. With a tri-maran style boat it is nice and stable and can be easily learned. These local boat trips are tought to you by the locals themselves and are a great way to interact with them. 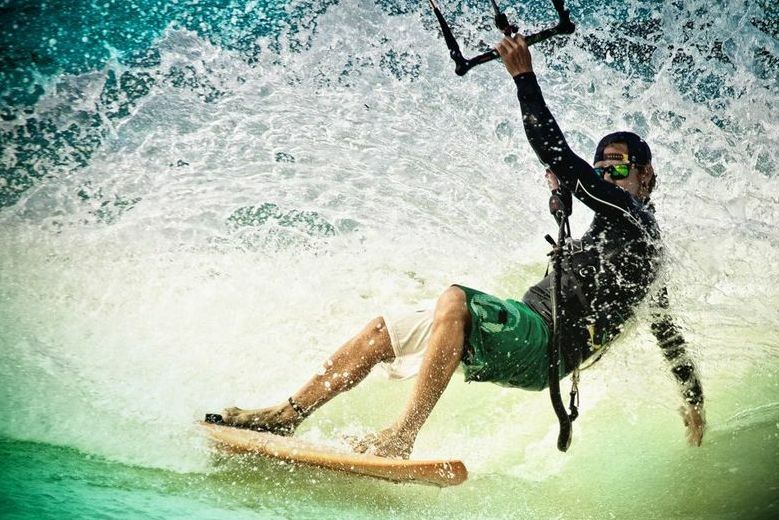 These trips can also be customized to do downwinder trips from one village to the next. Great for families or groups. The boats are build completely from wood and coconut ropes. A great skill to have if you ever find yourself stranded on an island.